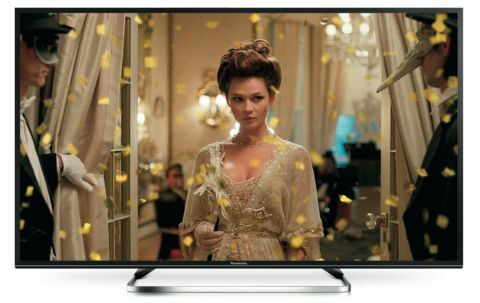 The FS500 range represents Panasonic’s ‘premium’ HD TVs for 2018, sitting above the FS400 models. Four screen sizes will be available: 49 inches, 40 inches, 32 inches and 24 inches. The two larger models will both carry full HD resolutions of 1920x1080, while the smaller sets will be HD Ready, with resolutions of 1366x768. All four sets, though, are set to support high dynamic range (HDR) picture playback. This makes the 24-inch model the smallest HDR TV released to date, so far as we’re aware. The HDR support is limited to the industry standard HDR10 system; the FS500s won’t also play the HLG format being pursued by many broadcasters, and supported by Panasonic’s 4K TVs. As ever with relatively low-end TVs, none of the FS500 models will not be able to unlock anything like the full potential of HDR pictures. They won’t have enough brightness or a wide enough color range. That said, presumably the FS500 TVs’ HDR pictures will still look at least a little punchier than their standard dynamic range ones. So while HDR might not be the essential feature on a cheap HD TV that it pretty much is now on 4K models, we’re certainly not going to complain about it. Provided, at least, that covering HDR doesn’t see the FS500 pricing rising far beyond that of last year’s equivalent ES500 models. For the record, those ES500 prices at the time of launch were £599, £449, £379 and £260 for the 49, 40, 32 and 24-inch models respectively. We’ll update this story with confirmed FS500 prices, for all global territories they become available in, once they’re announced. The FS500 series features a noticeably more premium design than Panasonic’s entry-level 2018 FS400 models. The desktop stand is very pretty indeed with its shapely, brightly polished ‘open bar’ style, while the screen’s frame is on-trend slim and fetchingly finished in an appealing, robust-feeling mid grey tone. Connections on the rear include two HDMIs, plus a pair of USBs that can be used for recording from the FS500 TVs’ built-in Freeview HD tuners to USB hard drives; or for playing back multimedia files from USB storage drives. You can also access multimedia from connected smartphones and tablet computers courtesy of the exceptionally easy to use Swipe and Share interface of Panasonic’s TV app. The smart features don’t end there, either. Surprisingly for a relatively low-end TV, the FS500s carry Panasonic’s My Home Screen 3.0 smart TV interface, with its easy to follow layout and large, attractive icons. It’s also child’s play with My Home Screen 3.0 to set up your own home screen featuring only links to the apps you use the most. Available apps include Netflix, YouTube and Amazon Video. The ES500s all illuminate their pictures using edge LED lighting backed up by an Adaptive Dimming Control system. This system doesn’t feature any local dimming, where different sectors of the lights can be made to output different light levels simultaneously. But a so-called ‘adaptive light dimming’ system can continually adjust the overall light output to best suit the pictures you’re watching. Finally, Panasonic uses a combination of backlight blinking and frame interpolation to deliver a pseudo 600Hz motion effect. Note, though, that the native refresh rate of all the FS500 models is actually only 50Hz. The FS500 models are set to appear in the UK and US from March. Pricing is yet to be determined.